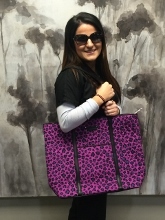 Make this Vera Bradley tote yours! Mention "Facebook" when you schedule an appointment at our Leawood office between now and February 28 for a chance to win this beautiful bag. Our optical offers coordinating Vera Bradley sunglasses.